Ross & Cromarty Roots | Donald & Catherine (Maclennan) Ross & family. Donald & Catherine (Maclennan) Ross & family. 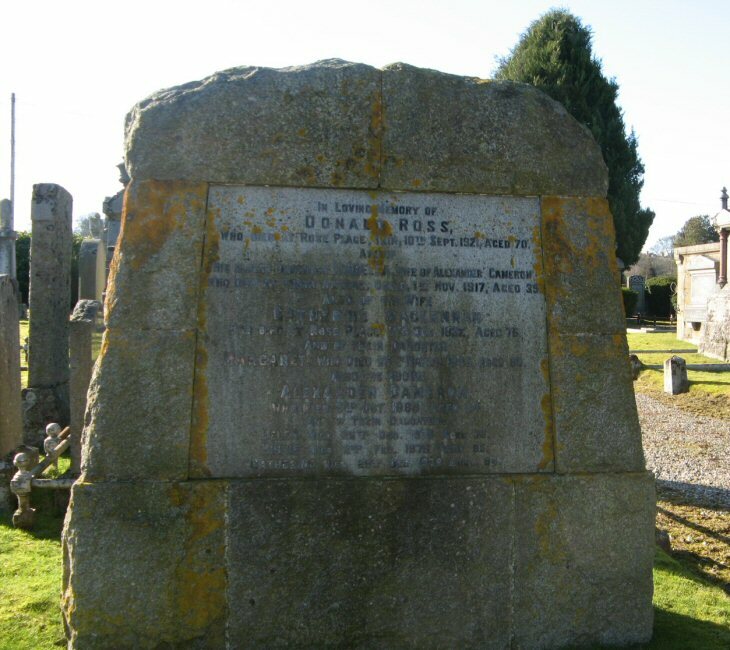 In loving memory of/DONALD ROSS/who died at Rose Place, Tain 10th Sept. 1921 aged 70/his eldest daughter ISABELLA wife of ALEXANDER CAMERON/who died at Puerta Arenas, Chile 1st Nov. 1917 aged 39/also of his wife/CATHERINE MACLENNAN/who died at Rose Place 11th Dec. 1932, aged 76/and of their daughter/MARGARET who died 25th March 1965 aged 83/also the above/ALEXANDER CAMERON/who died 2nd Oct. 1965 aged 84/and of their daughters/HELEN died 26th Dec. 1975 aged 76/MINNIE died 2nd Feb. 1976 aged 85/CATHERINE, died 29th Dec. 1979 aged 94. Picture Added on 19 March 2013.